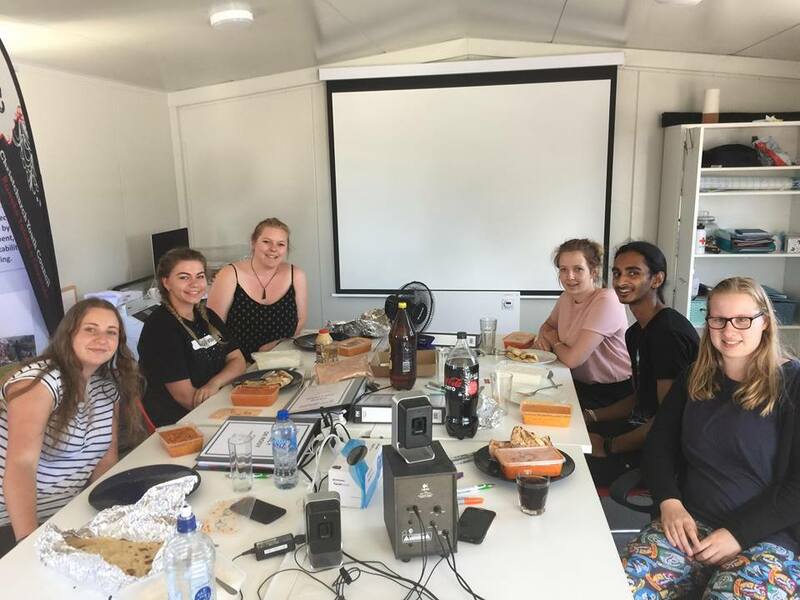 Youth Voice Canterbury is governed by the Management Team, a group of 8 young people working hard to keep YVC running, organising events, promoting youth participation, and managing the YVC network. Meet the team below! Kia ora my name is Madeline Francis, I am 19 years old, and I have the privilege of being able to serve the management team as chairperson. During the day I work as a support tutor in the Education Centre at the YMCA. And in my spare time I am completing a Dip in Youth Development, Dip in Life Coaching and a Cert in Te Reo and running a youth group. As a registered Clifton Strength coach, I am deeply passionate about speaking to the greatest of all young people, especially those who have had it rough. My dream is to birth a ‘safe home’ in an at risk community for young people in crisis. Every step I take today is with that vision in sight. Hey guys! I’m Paige and I am 18 years old. I am excited to be stepping into my second year on the YVC Management Team as Deputy Chairperson. I was involved with the Selwyn Youth Council for 3 years, completing my last year as Chairperson in 2018. I am the youngest member of the Ministry of Youth Development Partnership Fund Board, in this role I am able to support youth development opportunities nationally. In my spare time, I enjoy listening to music (specifically Ocean Alley and Sticky Fingers), hanging out with friends, and watching dirt track racing. However, I spend almost all of my time volunteering in my community and being involved in some incredible initiatives! I have a close relationship with my local Rotary club (Lincoln). I am passionate about developing young people into the best they can be and empowering them to reach their goals. We have some incredible young people in our region and I am excited to see them fulfill their true potential. Hey! 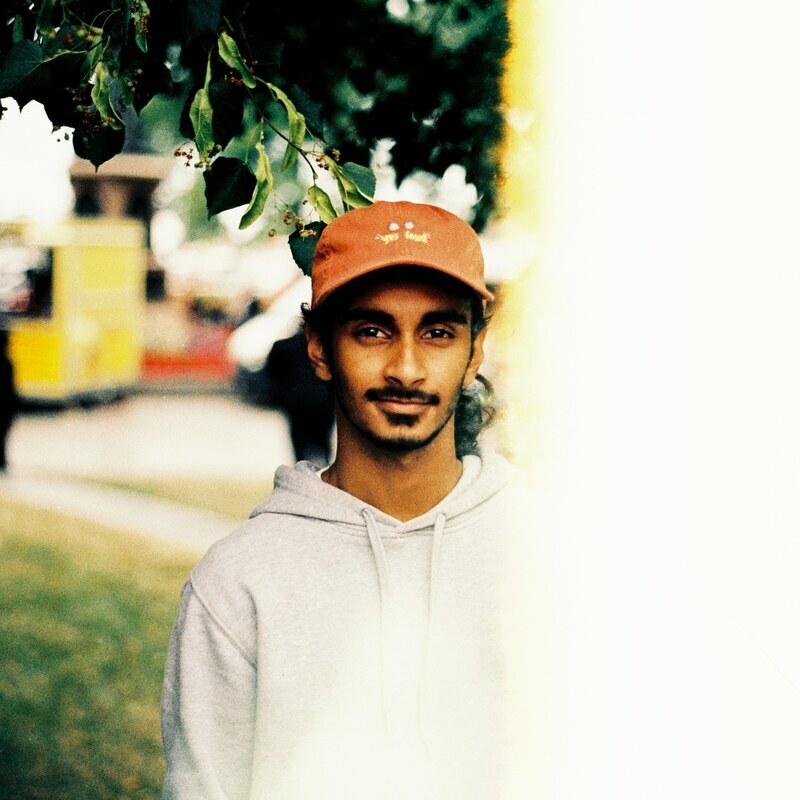 My name is Kusal, and this is my second year on the Youth Voice Canterbury management team. I'm a full time software engineer by day, and a graphic designer and musician by night. I'm a mobile developer at Verizon Connect and a drummer for The Reconstruction. If you don't see me playing music or on a computer, I'll be out with my camera! I've been in and amongst the youth volunteer scene of Christchurch since 2015 and am using all that I have learned so far to make a Canterbury a greater place for young people to involved with! This year I'll be taking on a bit of the admin being the YVC elected secretary putting my analytical and arranger skills to the test. I can't wait to see the impact YVC will have on the community throughout 2019! Hi, I’m Eleanor! I am passionate about improving the lives of young people and allowing youth to have a say in the decisions that impact on their lives. I hold the belief that all young people are valuable and have a right to be heard. I am super privileged to have been elected as YVC’s Treasurer for 2019 and am stoked to be leading YVC in the financial arena. I am also the Project Manager of ReDefine, a youth development programme aimed at empowering and supporting young Cantabrians with disabilities. I have dreamed of YVC developing a project like this since I joined, and I am thrilled to have the opportunity to lead ReDefine this year. I have also been given the opportunity to participate in the LinC Incubator programme to develop my leadership skills through my work with YVC. Outside of YVC I am studying a Master of Arts in Sociology, and I am in the Postgraduate Advisory Group for the University of Canterbury Students’ Association (UCSA). I have been co-opted to support the Community Organisation Grants Scheme (COGS) for 2019 and I am a General Member of the Christchurch Youth Council. Hey, my name is Sasindu and you can call me Sas. I am a Civil Engineer by profession. I am a representative of Young Engineers NZ committee. I am passionate about working with young people and love to see them succeed. I have been working with the youth sector in Christchurch since 2016 in different capacities. I am happy that I got the opportunity this year to work with the YVC management team. My goal is to provide a sound platform for young people to grow using my abilities. Look forward to working with this amazing team and make a difference for young people in Christchurch. Kia Ora! My name is Georgia! I’m 20 years old. I am currently studying part time to become a support work through Ara. I also attend ARISE church regularly and I love it. I joined the YVC team as I am passionate about youth. I want to be able to help empower, encourage and connect youth together. The big difference I want to make while on this team is shedding light onto mental illness. New Zealand’s mental health statistics are way to high and I want to be able to champion youth to be able to support themselves and others well. I would love for youth to understand that just because of their age doesn’t mean they can’t change the world then, they can then grow to lead by example to create other world changers. Kia ora my name is Kendra and I am 21 years old. I am new to the YVC management team this year but have been involved in youth participation since 2015 with the Christchurch Youth Council. I served two years as Chairperson and was very fortunate in that time to lead and support some major events and initiatives. I am passionate about working with young people to find their voices and strengthen them to express their opinions in the format that best suits them. Outside of youth work, I have my Bachelor’s degree in History and English and am currently studying towards my Masters of Teaching and Learning (Secondary) at UC. I look forward to seeing how my experiences in youth participation will support my classroom to be full of ideas and student expression. I can’t wait to see what 2019 will bring and how YVC will develop. I look forward to working with the team and our network to provide some awesome opportunities for youth voice this year! Kia ora, my name is Alyce Lysaght (pronounced Elise) and I am so excited to be on the Youth Voice Canterbury management team this year! I am originally from Ashburton and was on the Ashburton Youth Council for two years, fulfilling the role as a general member and then chairperson. I am currently in my second year of studying towards a Bachelor of Engineering (Natural Resources) at the University of Canterbury. At the university, I am also on the Student Volunteer Army executive for 2019. I have always been extremely passionate about creating networks and opportunities to help unleash the potential of young people, which is why I am so excited for the year ahead with YVC! To help the Youth Voice Canterbury Management Team do what they do, they have a coordinator who helps pull some of the strings to help make everything work! 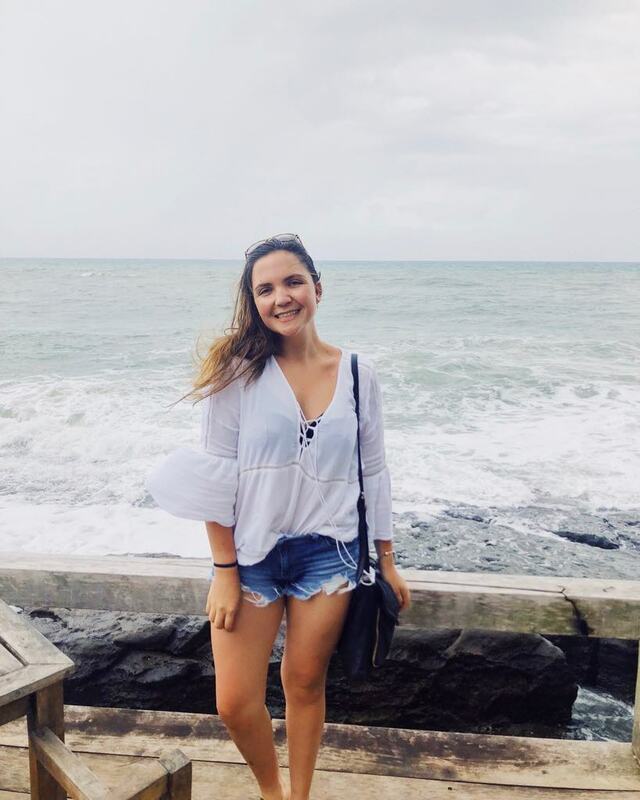 ​Kia ora, I’m Tayla Reece and I have the privilege of serving the Youth Voice Canterbury Management Team as the Coordinator of Youth Voice Canterbury. 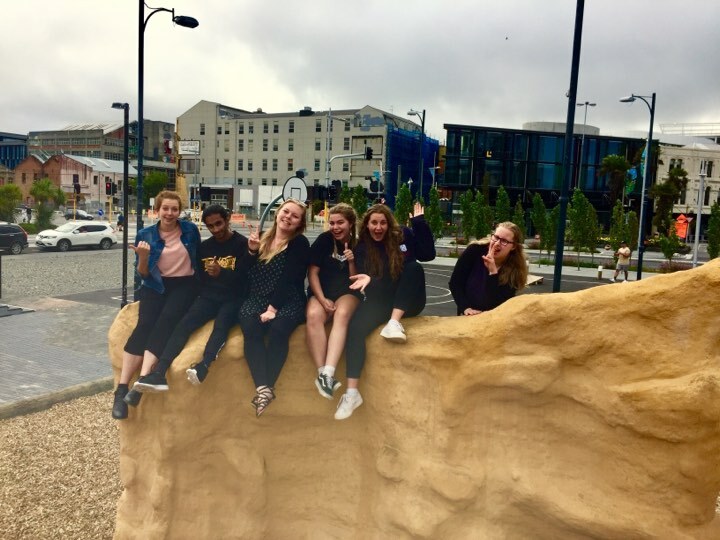 I work from the Christchurch Youth Space and my job entails supporting the Youth Voice Canterbury Management Team with the day-to-day running of YVC. I graduated with a Bachelor of Social Work (BSW) in 2017, and on the side I am an event planner and also work casually for the Hurunui District Council. I spend my spare time on the Board of the Tourette’s Association of NZ and also on the local Community Organisations Grants Scheme (COGS) Committee. In 2011 I helped found the Waimakariri Youth Council and through that got involved in the early stages of Youth Voice Canterbury. Over the past 5 years I have been involved in YVC through a youth council, as Chairperson, as a Management Team member and now finally as the Coordinator. I really enjoy supporting young people to reach their potential and lead their own projects and initiatives, as well as promoting youth friendly places and spaces and leadership initiatives.